The Prince of Wales and The Duchess of Cornwall visited sights including the Fitzwilliam Museum and King’s College Chapel during a visit to Cambridge today. The Prince of Wales and The Duchess of Cornwall are visiting #Cambridge today, and the day includes visits to King's College and the Fitzwilliam Museum. Follow our @instagram story throughout the day for live updates! The day began at the University of Cambridge’s Fitzwilliam Museum, where Their Royal Highnesses toured the museum to mark its bicentenary and to celebrate the 600th anniversary of the Cambridge University Library. The Fitzwilliam Museum is the principal museum of the University of Cambridge and its collections explore world history and art from antiquity to the present day. The Fitzwilliam Museum presents a wide ranging public programme of major exhibitions, events and educational activities, and is an internationally recognised institute of learning, research and conservation. During the visit, The Prince and The Duchess met local school children who were taking part in educational activities, and heard about the museum’s local outreach, education and development initiatives. 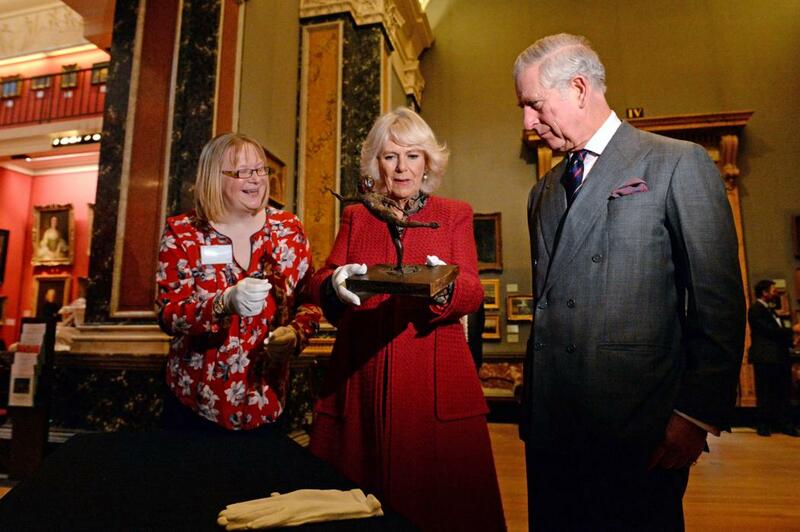 Experts from the Cambridge University Library were on hand to show Their Royal Highnesses rare books from the University Library’s collection, including a copy of Charles Darwin’s ‘On the Origin of Species by Means of Natural Selection’. The Duchess of Cornwall then travelled to the Cambridge Emmaus community to help celebrate the charity's 25th anniversary. Emmaus communities support formerly homeless people by giving them a place to live and meaningful work, helping to boost self-esteem. There are currently 28 communities across the UK. Her Royal Highness, as Patron of Emmaus UK, strives to visit an Emmaus community every Christmas. During today’s visit to the Cambridge community, The Duchess toured the renovated garden and sat down for a cup of tea with residents. The Duchess last visited Emmaus Cambridge in 2012, and today she was able to catch up with one of the residents, Spencer, who she first met four years ago. Before departing, The Duchess joined a reception with Emmaus UK Founder, Selwyn Image. Her Royal Highness presented the community with a bag of gifts from the Highgrove Shop for everyone to enjoy. 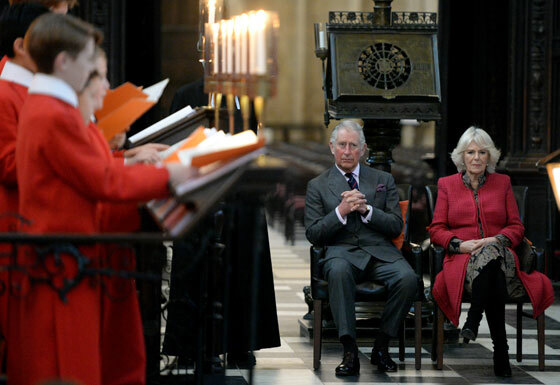 Reuniting with The Prince of Wales, the final engagement of the day for Their Royal Highnesses was a visit to King’s College Chapel, part of the University of Cambridge. The Prince and The Duchess watched a rehearsal by the King’s College Choir before meeting young members of the choir. There has been a choir at King’s College since it was founded in 1441 by King Henry VI, and the main duty of the choir is to sing at daily Chapel services. 🎧 The Prince and The Duchess’s visit to Cambridge ended at the beautiful King’s College chapel. Here TRH listened to a rehearsal by the King’s College Choir. There has been a choir at the college since it was founded in 1441 by King Henry VI, and the main duty of the choir is to sing at daily Chapel services.